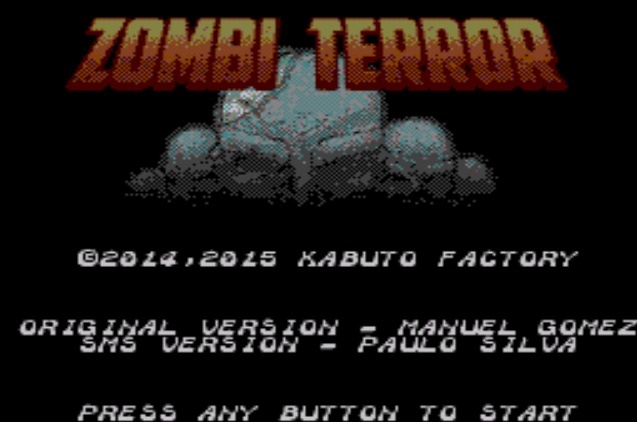 Fans of The Walking Dead might want to come and check out the latest adventure 'Zombi Terror' release for the Sega Master System by Paulo Silva, in which you explore an island avoiding Zombies and finding new areas for protection. Available in multiple formats including the C64. 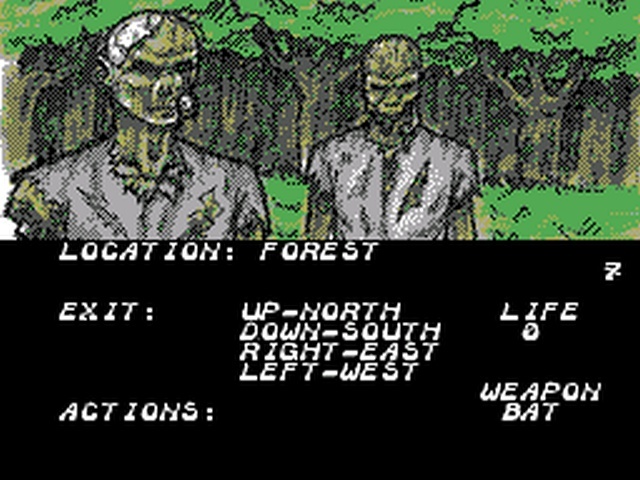 ZX, MSX, and PC you must move through different locations, performing special actions such as North and South while battling it out with horrific Zombies by the means of a dice rolling system. 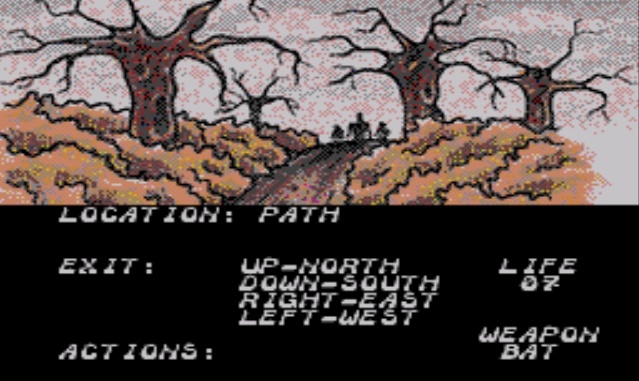 The graphics are mainly hand drawn backgrounds with limited text for performing certain tasks, and unusually the ZX version comes with a better detail overhaul and is much more appealing to the gamer. However it is unusual for a game of this type to be on the Sega Master System as most would probably prefer an arcade game or a shoot em up. Still for a competition entry it isn't bad, but do note there is an update due which will probably fix bugs left in the code.